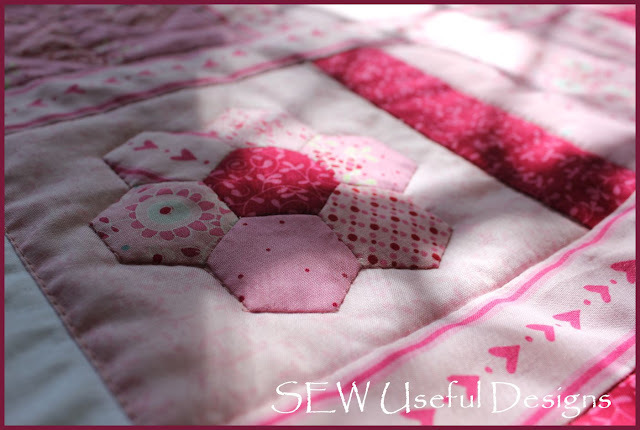 Sew Useful Designs: Two quilts finished!! Here we are heading towards the close of another calendar month... I swear, each year flies by quicker and quicker, like a well-walked path! But my path has been both pleasurable and memorable, as I hope, has yours? August was a month of family celebrations for the SUDs household, which I'd love to share more of in my next post, but for now I thought you might like to see some finished projects? I completed two quilts within a week of each other (don't be too impressed, I actually started the latter one pictured close to two years ago!!) But hey - it sounds so much better to admit to two close finishes - so we won't dwell on that! 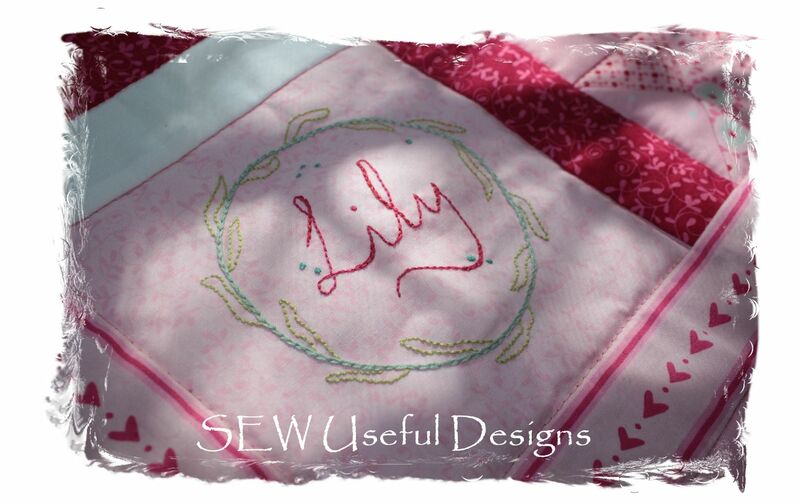 I started designing, stitching and piecing Lily's baby quilt a couple of months ago, as my nephew knew his baby was a girl and the name Lily had already been agreed upon. I chose Leanne Beasley's first line of fabric, Hearts and Happy Flowers. How I love those prints!! I kept to a pink palette as the new parents had requested. With one of Rosalie Dekker's prints thrown in for good measure! The quilt has since been completed and is now wrapped around sweet Baby Lily (I'll ask my nephew's permission to post a pic of her - she's so gorgeous - do you love babies as much as I do?!!!) Unfortunately I haven't been able to have a cuddle with sweet Lily because she lives in England and I am on the other side of the world in Australia. But at least I know that something I've made especially for her can be wrapped around her in the place of my arms. It was challenging to piece with the stripes on the heart & stripes print - but that was all part of the fun for me! 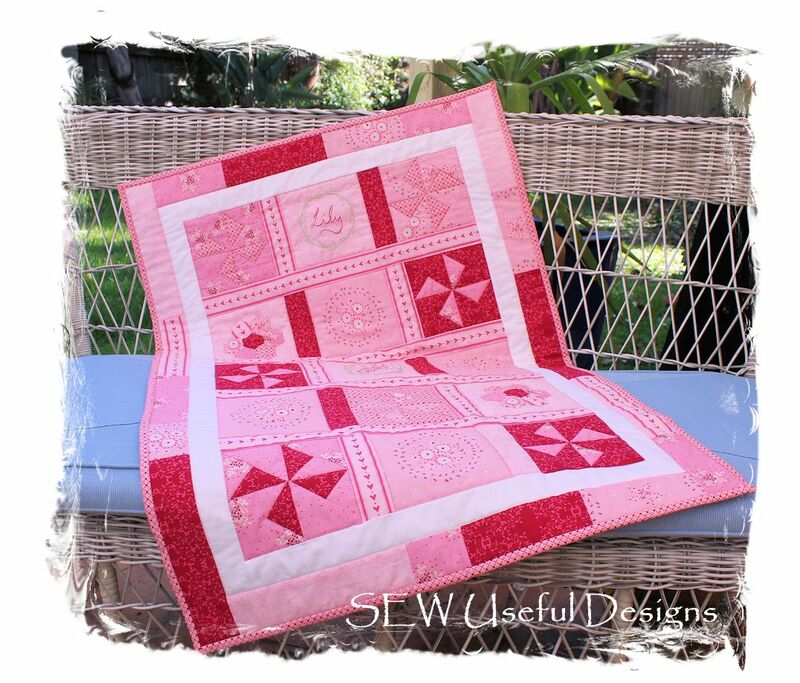 I was very pleased with the quilt, but would probably choose to make it a wee bit larger if sewing it a second time. 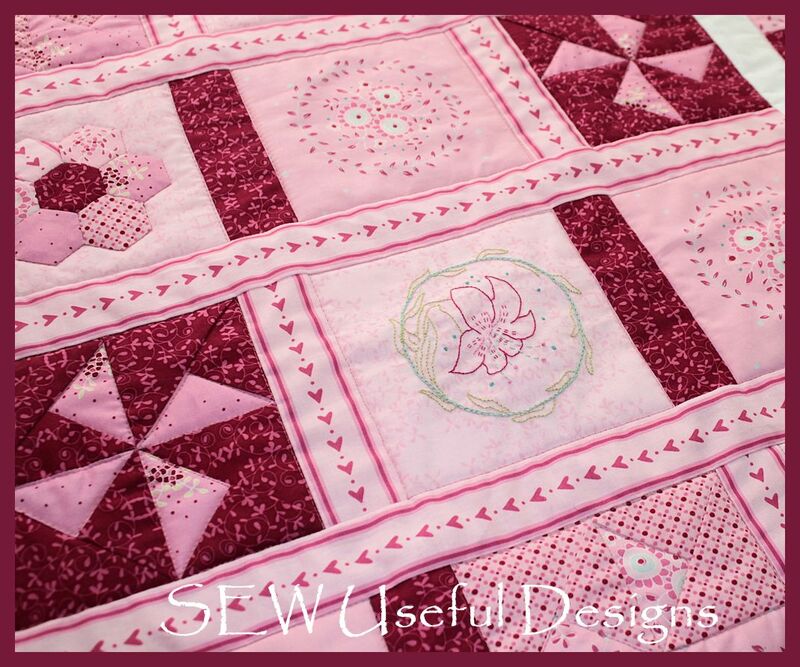 This next quilt was made with a layer cake of Celebrate by Sweetwater & Co. 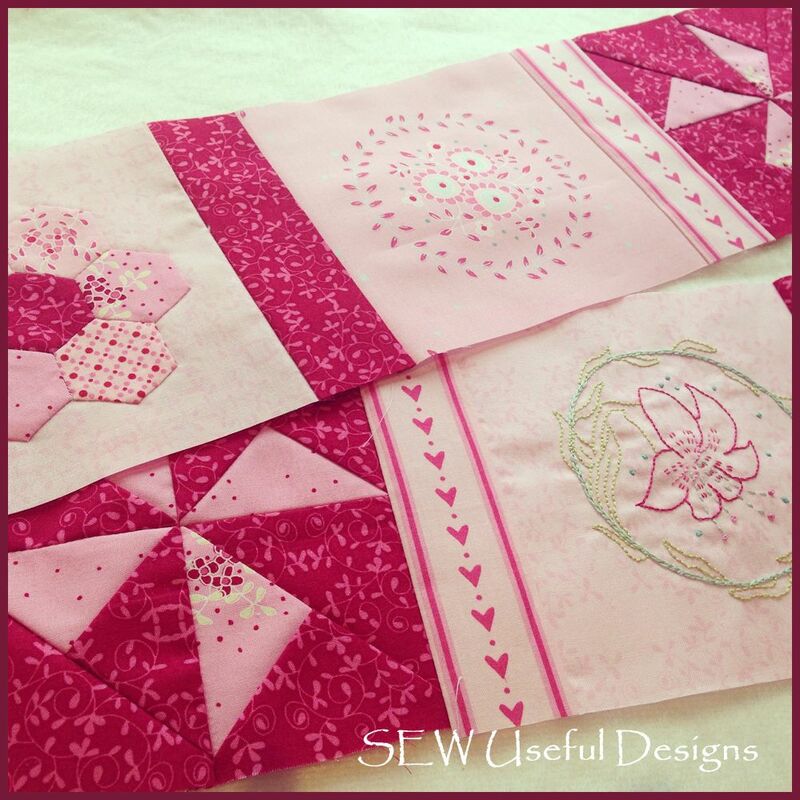 I just added some white sashing, and Rosie's favourite print became the border. 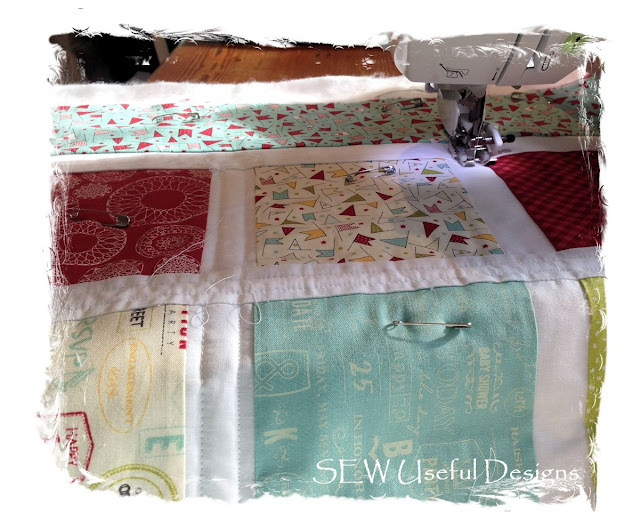 It was a quick and rewarding make, but I had problems with my sewing machine when it came down to quilting... the stitches skipped or sewed way too close together... so I got my machine serviced and started again. The second time I made the mistake of stopping and starting the machining at each intersection between squares, which resulted in hours of my time spent pulling threads through to the back and tying off. 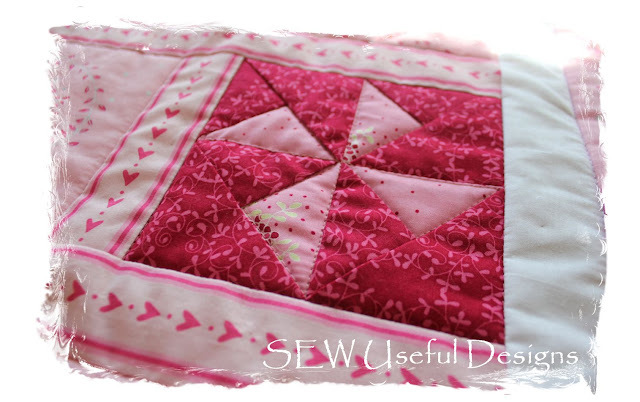 The look didn't add anything to the overall look of the quilting so it wasn't worth the effort. 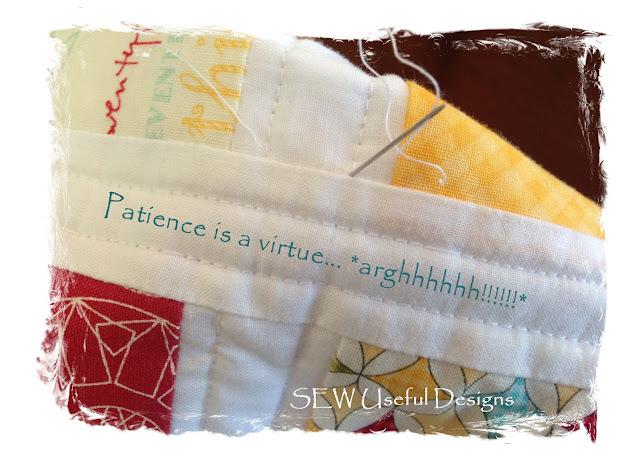 But I did develop a whole lot of patience - Lesson learned!! 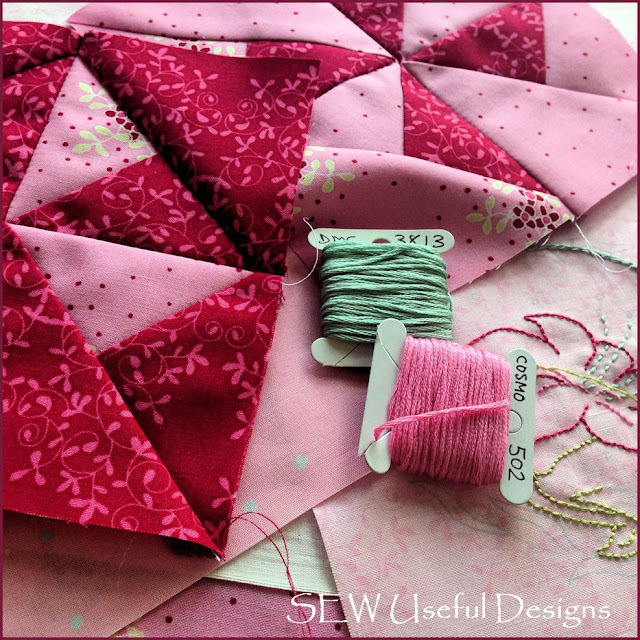 Next up for a finish is a sweet needle book project designed by Melissa Grant of One Day in May, called Daisy Dance (you can find the pattern here). 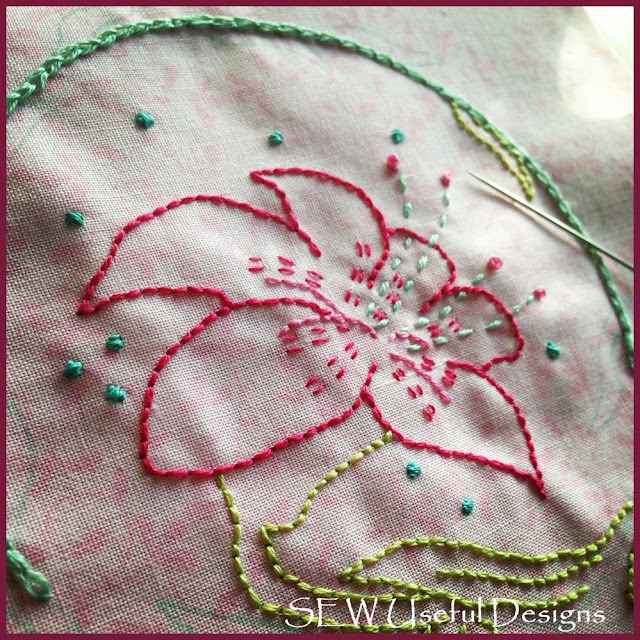 I've finished all the embroidery, now I'm cutting all the fabric pieces out, all good stuff! 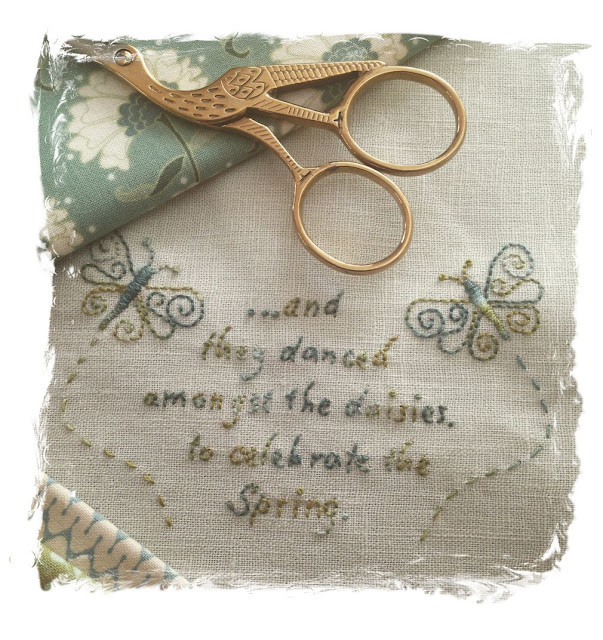 The delicious mix of Tilda (TM) fabric with Cottage Garden Threads... yum! That's just about it until next time... what have you been up to? 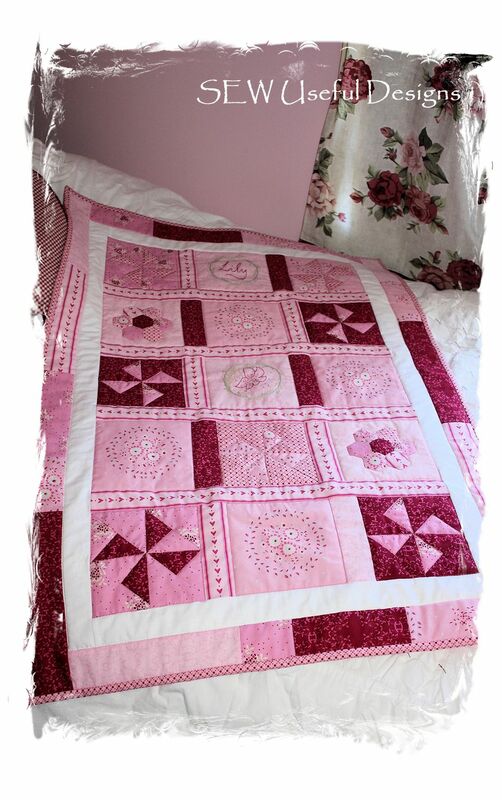 Lily's quilt is just beautiful, Vikki. What a special gift. Rose's quilt is just as lovely, perfect for the young lady she is growing in to. Both of your projects are beautiful. So much detail in little Lilly's quilt. 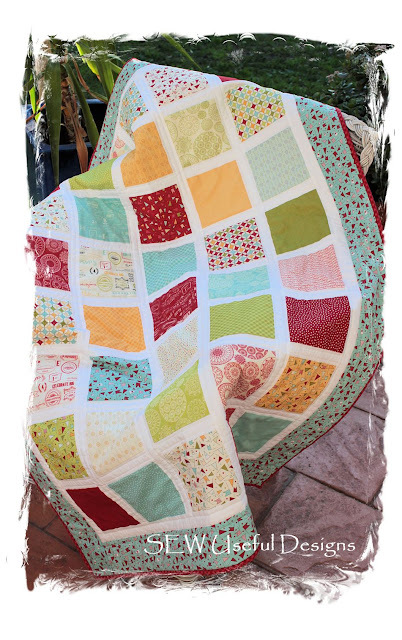 I have a layer cake that I want to use soon and I think a quilt like yours would showcase the fabric. Both are gorgeous, but I LOVE the pink one!!! Clever Tart you are indeed. My blog has been private for a week, but goes back to public tomorrow btw. I love your quilt! The color and the design is just perfect. You did a great job!